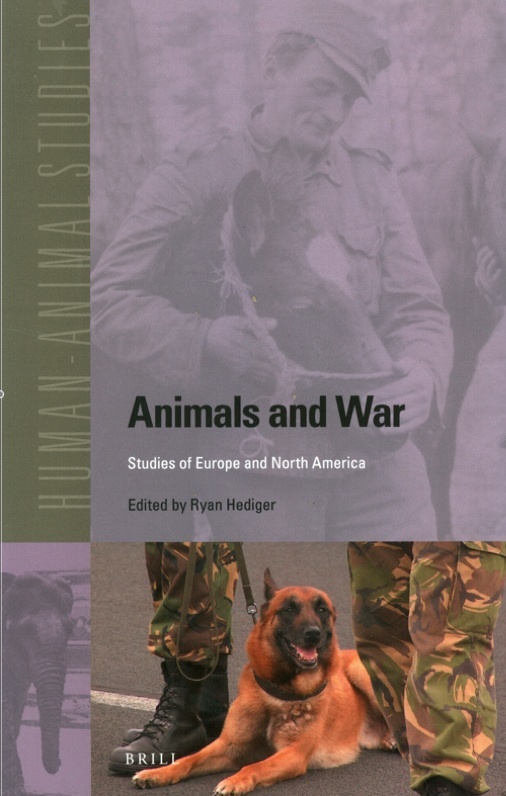 My article is now out in a new book Animals and War: Studies of Europe and North America, part of the human-animal studies series published by Brill and edited by Ryan Hediger. The book considers different aspects of the topic including guard dogs and the Nazi Holocaust, Finnish stories of horses in World War 11, zoo animals, and Jacky the London raven. 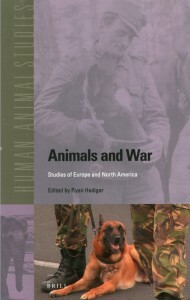 The human-animal series includes some interesting titles, not least : Canis Africanis. A dog history of southern Africa; Theorizing Animals; Animals and Agency and Animal Encounters. Sadly, Brill seems to believe that such titles will not have a potentially wide audience and prices books at ridiculous prices that are outside personal budgets and, in Britain at least, beyond the budget of even many university libraries. My article includes discussion of memorials, some of which I have previously covered in this website including those to horses in the South African wars, post World War 1 memorials in Hartsdale cemetery in New York State, Canberra , Melbourne and London. If you – or your library – can’t afford this book there is a shorter version of the article in Lest we Forget which is considerably cheaper!